Today's (Friday's) Thing-a-Day Thing is a list of 10 things I am obsessed with and would buy everything related to it if I had the money and space to display/store it. I used to watch Bozo the Clown on WGN every day before school. My Bozo was Joey D'Auria. The reason I became obsessed with Bozo was because I liked the show and Bart Simpson idolized Krusty the Clown. I love the Simpsons so I wanted to be like Bart and "idolize" Bozo the Clown! 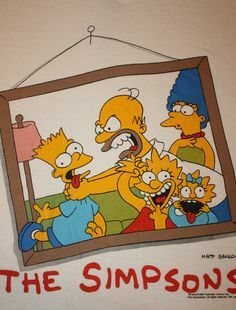 I mean, who isn't still obsessed with the Simpsons? 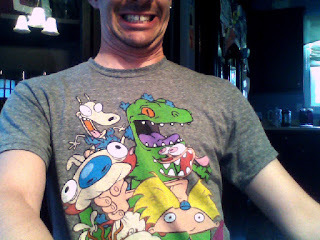 Loved the cartoon, got this shirt, watched and loved the movies, cereal, comics, and horrible live action TV series! Look forward to the sequel! Loved the cartoon. Loved the toys. Miss Ecto Cooler like crazy! Watched the movies 10 million times. Have enjoyed the games and any other merch I've consumed recently. Love the idea of the new movie! Hopefully there will be lots and LOTS of new merch! I loved Filmation's Ghostbusters, too! I have enjoyed the newest cartoon and the handful of the new comics that I've read. I hope another live action movie gets made, this time with Orko! 6. Teenage Mutant Ninja Turtles! 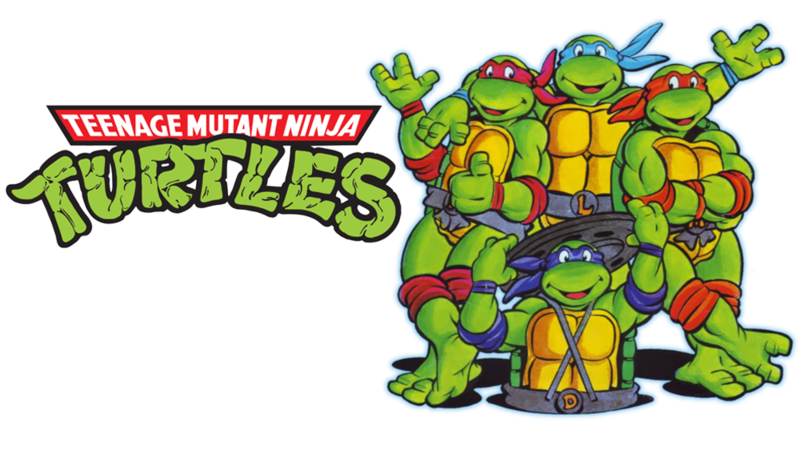 As with the Simpsons, I think pretty much everybody around my age was in love with, and still is in love with, all thing Turtles! I didn't hate the new movie, but I miss everything they changed/left out. 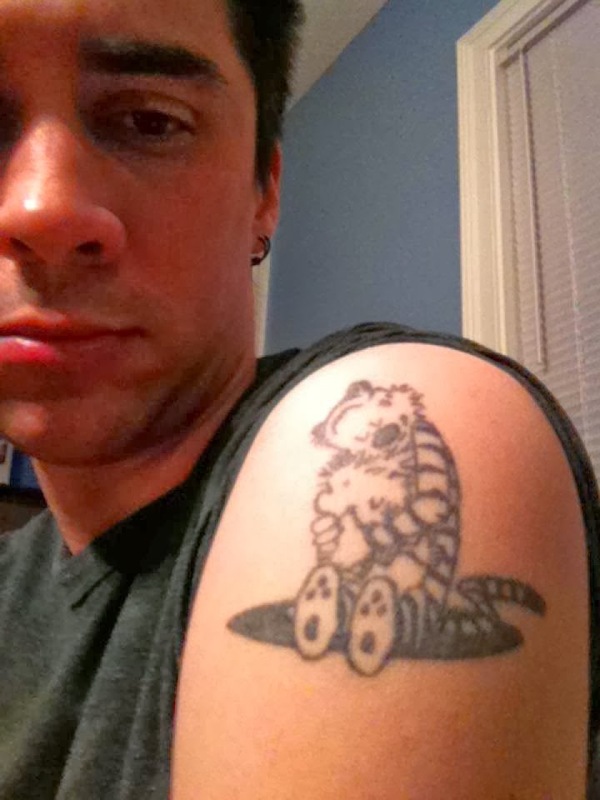 I've covered my love for Roger before. 9. All of the old Nick Toons! This extends to all of the old Nick programming, too. 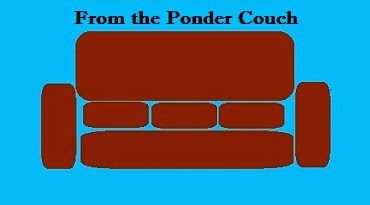 If you've followed the Ponder Couch at all, you've likely read about my great love of all thing Calvin and Hobbes. There are many other things I'm obsessed with (Peanuts comics, all kinds of bands, Tiki culture, Homestar Runner...), but I said I was going to list 10, and these are the first 10 I thought of! If you want to support my obsessive habits, please fund them or send presents of rare merch! And there is always the WISHLIST!